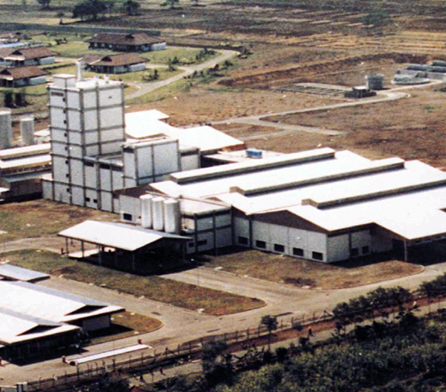 Nestlé contracted Wiley to establish a Milo production facility within the company’s existing dairy product manufacturing compound at East Java. Working on a site in a remote area two hours from the metropolitan area of Surabaya. Introduction of alternative materials typically not used in the industry. Innovative design to allow for future expansion and equipment access. Close coordination with Nestle engineers and equipment suppliers to facilitate efficient equipment installation. the second level, comprising silo gangways and platforms to the three two-tonne silos and the 130-tonne dryer and eight-tonne vacuum plant. Completion of the 3,600m2 facility that allows Nestle to expand its share of the growing specialty processed food market in Indonesia and South East Asia.